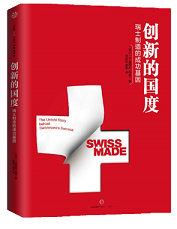 From the very beginning, SCS has strived to establish a concept allowing SCS Member Companies to network and link up by commonalities and complementarities and to gather in a geographical proximity most suitable for Swiss Industrial SMEs. Today, the good relations amongst SCS Member Companies, at Xinzuang Industry Park and all across China, provide a rich and flexible network for new Member Companies to start and develop faster on the Chinese and Asian markets. The SCS business cluster provides better vision for sound strategy, efficiency, faster development, better flow of information and cooperation with many potential partners. At Shanghai Xinzhuang Industry Park, SCS enjoys a favourable situation and convenient transportation. In the southwest of downtown Shanghai, SCS stands only 18 km to People Square, the center of Shanghai. Xinzhuang Interchange is a major transportation hub to the surrounding area. The state highways, such as State Highway No. 312, No. 318 and No. 320, lead directly to big cities across the country. Shanghai-Nanjing Expressway and Shanghai-Hangzhou Expressway are just within 15 and 5 minutes respectively. There are more than 26 universities, colleges and scientific research institutes close to SCS, all providing high profile talents and experienced technicians. In the town of Xinzhuang, a suburb of Shanghai, a large number of medium and unskilled workers, who cannot afford to live in the city center, can be called upon as well.